Follow our Diocesan Youth Instagram account @tecscyouth! Province IV has a great history and tradition of assisting its own when disaster strikes, as well as lifting up young people as leaders. This year we will assist with the continued clean up and aftermath from Hurricane Florence in Fayetteville, NC. Our work will consist of repair to home and communities that were flooded during & following Hurricane Florence as well as nurturing relationships we make along the way. All current high school students are invited to join us for this event. Significant scholarship funds have been allocated to alleviate the $200 registration fee. Please register online by May 6. Thank you to everyone that joined us for the Fourth Annual Bishop's Lock-in! We look forward to seeing you all for our Diocesan Youth Events next school year. Since 1931, Camp Kanuga campers have been forming lifelong friendships, experiencing new adventures and growing in their faith through our welcoming Christian community. 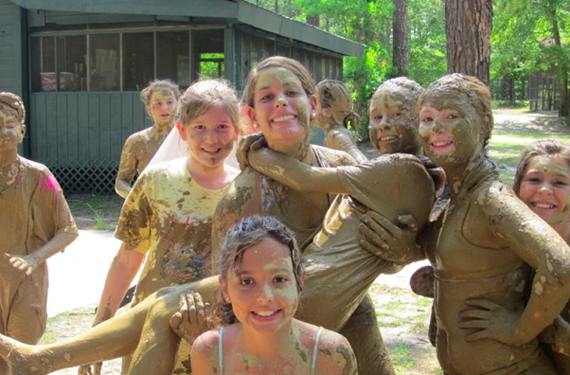 Camp Kanuga has rich traditions and exciting new programs that encourage transformation, growth, and renewal for all. The camp serves boys and girls ages 7-15 in age appropriate activities including; hiking, climbing, swimming, arts & crafts, archery, horseback riding, chapel, ropes course, team sports, camping, fishing and much more. For more information please visit www.campkanuga.org or call 828-692-9136, ext. 279. Camp Gravatt is an Episcopal camp and conference center, located outside of Aiken, South Carolina, offers a summer camp for rising first through 11th graders. Typical summer camp actiivies include: archery, arts & crafts, campfire, canoeing, challenge course, environmental education, faith formation, hiking, music, recreational sports, swimming, themed evening events, and worship. For more information, please visit www.campgravatt.org. Hey y'all! Have you heard about Happening? Happening is a spiritual weekend for youth, led by youth, and Happening weekends occur in most other Episcopal dioceses. Happening was a vibrant part of youth ministry in our diocese for many years and we’re bringing it back! We hope you will join us for this amazing experience. 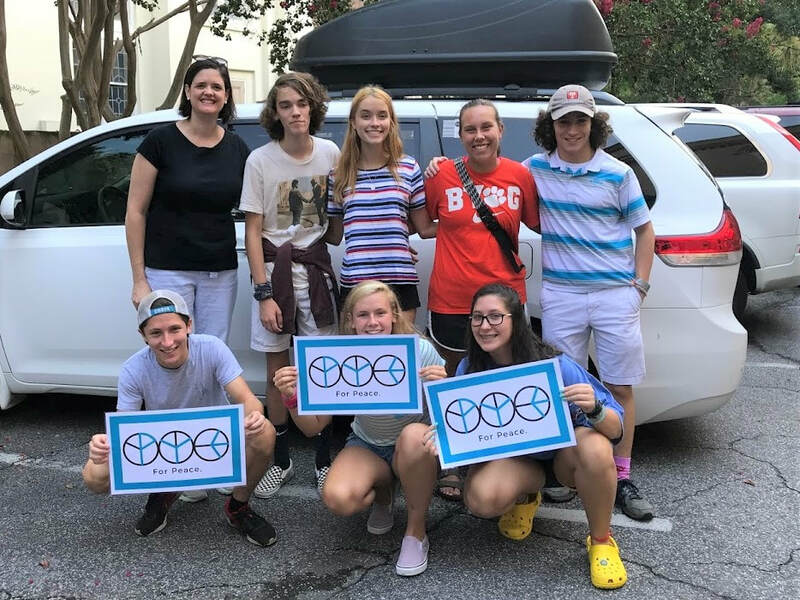 A youth team from our diocese traveled to Atlanta for the Province IV Youth Event, "PYE 2018: For Peace". For t4 days they joined together with youth from the other 19 Episcopal dioceses of Province IV to experience the presence of God in the world and to serve and be served by God's people. Read more here. And see a photo album of their adventures here.